Suzuki Ciaz, Swift, Alto and Ertiga will be exported from India. Toyota will also provide after-sales service for Suzuki cars in Kenya. Maruti Suzuki and Toyota will begin the cross-badging process in India with the Toyota-badged Baleno. Toyota Kenya has partnered with Suzuki Motor Corporation to sell Suzuki cars in Kenya. 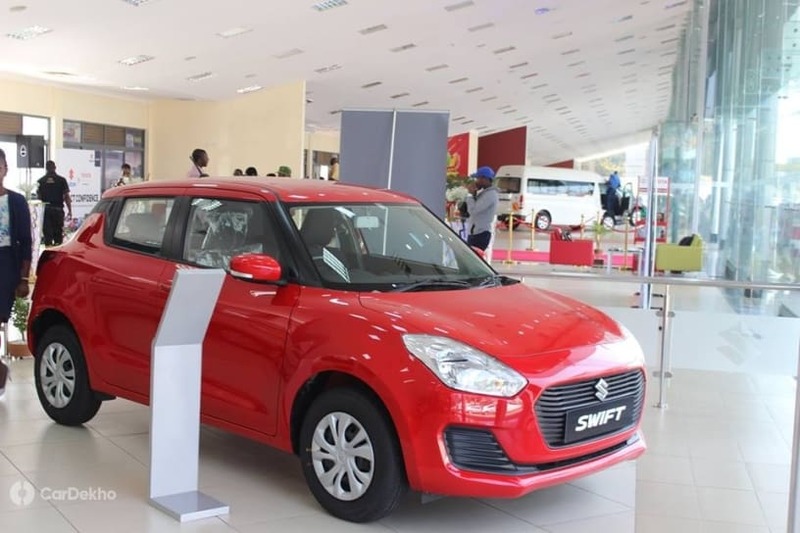 The cars initially on sale include seven models as per the official statement from Toyota Kenya; however, only 6 of the models have been revealed for now. These are the Alto, Swift, Ciaz, Ertiga, Vitara SUV and the fourth-generation Jimny. Apart from selling the cars, Toyota will also provide after-sales service to Suzuki owners in the country through its own service centers. Four of these Suzuki cars will be exported from India. These include the Alto, Swift, Ciaz and the Ertiga. The Jimny is being imported from Kosai, Japan, whereas the Vitara is being brought in to Kenya from Suzuki’s Magyar plant in Hungary. This is the first of the outcomes of the Toyota-Suzuki partnership that was announced in May 2018. In India, the partnership will result in rebadging cars. The first of the Maruti Suzuki cars that Toyota will rebadge and sell in India will be the Baleno. This Toyota-badged Baleno is expected to launch in India in the first half of 2019 and it will be followed by the Vitara Brezza. Similarly, Toyota will provide the Corolla to be sold as a rebadged Maruti Suzuki in India in 2020. Suzuki and Toyota will also launch a new co-manufactured electric car by the year 2020. While Suzuki will be manufacturing the EVs, Toyota will be lending technical support for the widespread adoption of EVs in India. Currently, Maruti has been testing the WagonR EV in India. Toyota and Suzuki will continue operating through their own retail and servicing channels in India where the cross-badged products are involved. So cars such as the Toyota-badged Baleno and Vitara Brezza will be sold and serviced through Toyota-branded points of contact while the Maruti-badged Corolla will be sold and serviced through the latter itself. Will Suzuki Future-Proof India By Entering Premium Segments?